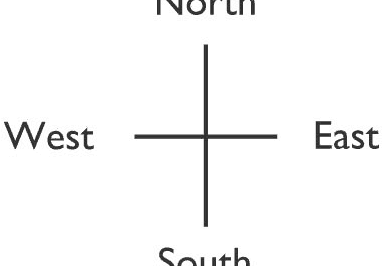 Cardinal points: north, south, east, and west. Left, right, forward(s), backward(s), up, and down are relative directions. 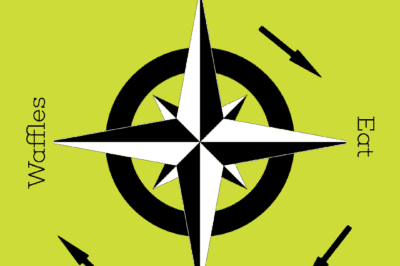 Compass rose showing cardinal, ordinal, and secondary-intercardinal directions.